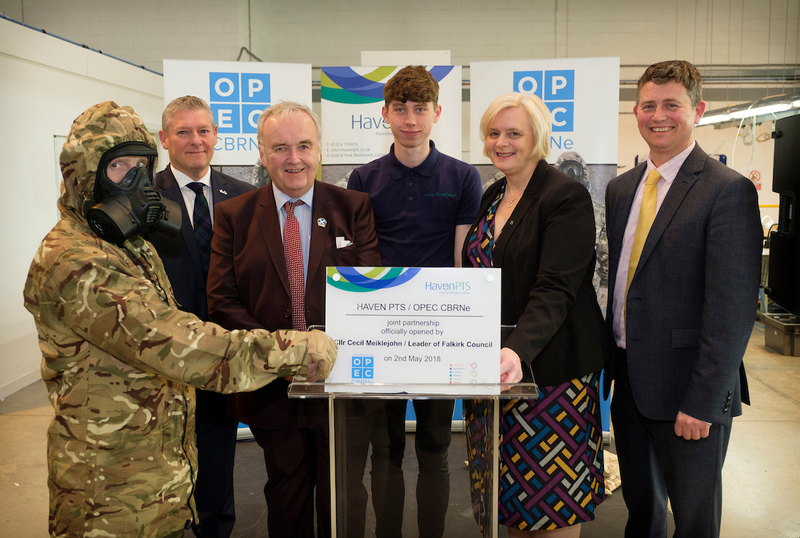 On 2nd May 2018, OPEC CBRNe opened its first UK office within Haven PTS in Larbert, Scotland signalling the start of even bigger things within the global defence market for the specialty CBRN apparel brand. More than 100 guests attended including prominent local politicians, key influencers and suppliers to the industry. Guests were able to see first-hand the ‘Kestrel’ CBRN garment which was worn by serving soldier Richie Barr, and were treated to a working tour of the factory premises.